It is not surprising to find that seniors almost unanimously name meals when asked what is the single most important aspect of their daily life in a retirement community. Mealtime brings seniors together for socialization and companionship, and for many it represents the only time during their day when they can share their frustrations about the effects of their own aging process with others who can relate to them. This is particularly true for new seniors or those with serious medical conditions or ailments. Although many seniors readily accept most of the effects of aging, they can be very challenging for others. Most people understand that as we age, the way in which we experience our world through our senses of sight, hearing, touch, taste, and smell changes as those senses deteriorate over time. As our visual acuity diminishes, we wear corrective lenses; with auditory loss, we wear hearing aids. However, the least accepted and least understood deprivations are those of taste and smell, the two senses that primarily control the body’s ability to experience food. Disorders of taste and smell are viewed as affecting the “lower” senses—those involved with sensual and emotional life—rather than the “higher” senses that serve the intellect. The taste and smell of food have a major effect on levels of food intake and the maintenance of good nutrition. Losses and distortions in these chemosensory mechanisms contribute to a significant degree to anorexia in the elderly. Taste and smell are considered chemical senses because they are stimulated by molecules that contact receptors in the mouth, throat, and nasal cavity. The sense of taste is mediated by taste buds located on the dorsal surface of the tongue and on the epiglottis, the larynx, and the first third of the esophagus. Olfactory receptors are bipolar neurons located in the upper portion of the nasal cavity that project into the limbic system of the brain. The limbic system also processes information associated with emotions, so there is, in fact, a medical explanation for the emotional response we have to food. The olfactory bulb shows considerable degenerative changes during aging, and cross-sections of the bulb often look “moth-eaten” owing to losses in the number of cell bodies of neurons. Those losses are especially profound in patients with Alzheimer’s disease. Because of reduced function in these key chemosensory systems, the natural biochemical responses designed to break down food as it enters the body are consequently also less active. When the body smells, tastes, or simply sees appetizing food, a number of biochemical responses are set in motion to aid subsequent digestion. For example, saliva builds up in the mouth, gastrointestinal juices are released into the stomach, plasma insulin is released into the bloodstream, and the pancreatic system is engaged. All these responses have the combined effect of aiding absorption of food and promoting overall nutrition. As the aging process affects the body’s internal response to food, seniors do not enjoy food as much or absorb it as well, and as a result they can become vulnerable to malnutrition, which can contribute further to health problems. Taste and smell decrements arise not only from the normal aging process, but also from certain disease states, pharmacological and surgical interventions, the effects of radiation, and environmental exposure. Similar medical conditions and drugs affect the sense of smell. For example, most people have experienced the metallic taste of orange juice after brushing their teeth; the chemical in toothpaste responsible for this effect is sodium lauryl sulfate, which is also used to help fat-soluble drugs dissolve. Most elderly persons take their medications with their meals to offset the potentially harmful effects of the drugs on the stomach lining, which in turn affects their ability to taste and smell their food. Their senses are inhibited by these drugs, as is their digestive system, and this effect can at times induce a negative reaction and in severe cases lead to malnutrition. Many medications commonly taken by the elderly are prescribed to be taken with food. Typically, seniors in a retirement community will take their medications in the privacy of their rooms before coming down to the dining room for a meal. By the time their meals actually arrive at the table 30 minutes or more could have passed, giving the medication taken on an empty stomach ample time to be absorbed into the bloodstream and the opportunity to adversely affect the seniors’ ability to taste and smell their food. Simply advising seniors to take their medications after they eat rather than before can have a profound effect on their overall dining satisfaction. In fact, at one community, after the seniors were educated about this concept, senior satisfaction in food and beverage service increased by 10 percent over the previous survey, while perceptions of all other conditions remained constant. Measurements of taste and smell dysfunction in older adults reveal a progressive decline with age. Those losses tend to begin around 60 years of age and become more severe in persons over 70 years of age. In most retirement communities, the chef and cooking staff have an ability to taste and smell that is more than twice as acute as that of the people for whom they are cooking. In one study, persons between the ages of 20 and 70 had approximately 206 taste buds each. This number was reduced to 88 taste buds for persons between the ages of 74 and 88 years. The average age of seniors in retirement communities today is about 82 years. Therefore even the best-qualified chefs working with the freshest natural ingredients are working at a considerable disadvantage, and they will express their frustration in trying to address this problem using conventional methods. Seniors may inadvertently harm themselves by trying to amplify the flavors of their food by using too much salt at the table, or by eating too much dessert because they can still enjoy the sweet taste of many of these offerings. Compensating in these ways, however, only leads to nutritional imbalances and could be in direct conflict with doctor-prescribed dietary guidelines. Recent studies suggest that the amplification of foods and beverages with naturally produced flavors can increase preference ratings as well as subsequent intake and absorption in elderly persons with known chemosensory losses. These commercially produced flavor enhancers, which are inexpensive (adding less than a penny to the per-meal cost), are made by reducing food such as chicken and capturing and concentrating natural flavor and odor molecules. The concentrate can then be attached to a “carrier” (such as water, oil, or flour) and added to the food. This added flavor contains no fat, salt, or other harmful products traditionally associated with flavor enhancement. Table 8.6 gives the percentage of elderly persons who preferred flavor-enhanced foods in one study at Duke University Medical Center. Flavor-amplified foods not only are preferred from a sensory standpoint, but also can influence the body’s natural biochemical response to food, actually promoting better absorption and, as a result, improving the immune status of elderly persons. In a study by Schiffman and Warwick in 1993, elderly persons were offered regular food for three weeks, then flavor-enhanced versions of the same food. Blood samples were taken before and after the use of the flavor enhancement. They showed an increase in levels of T and B cells (white blood cells), the body’s natural defense agents against disease and injury. Schiffman’s research confirms that as the body’s biochemical absorption of food improves, so do nutrition and immune status. This research suggests that the addition to recipes of natural flavors that increase the perceived flavor intensity would improve satisfaction with the food and compensate for chemosensory losses due to normal aging, diseases, and prescription drugs. It can be argued that the use of flavor enhancements can actually promote better health as well as improve senior satisfaction. Learning that deprivation of taste and smell is a normal part of their aging process and that changes can be made to compensate for it becomes as natural to seniors as wearing glasses to augment failing eyesight. Additionally, seniors become aware that their enjoyment of food is enhanced by this flavor-amplification technique. It is also gratifying for them to see that management is willing to combine this knowledge with its culinary expertise to create a more tailored and flavorful dining experience. The increased preference for flavor-enhanced food is extraordinary. In fact, many manufacturers of convenience products, such as Stouffers and Tyson, now list natural flavors among their ingredients. When a convenience product and its scratch-made counterpart are served, the convenience product is often better received than the homemade one. This is simply because the commercial product is higher in flavor than the homemade product as a result of added natural flavor. Certainly natural products are important and should represent the primary ingredient source. The addition of fresh herbs and spices and pretreating with marinades should not be abandoned. We walk a fine line, however: for if too many herbs and spices are added, the seasoning then overpowers the main ingredients. Often seniors’ delicate digestive systems become agitated when aromatic herbs and spices are not used in moderation. Flavor enhancement improved food intake in 20 out of 30 foods tested. Research has confirmed an improved immune status as measured by the total level of blood lymphocytes, which help to fight diseases inherent in the elderly population. In addition, seniors feel better about their dining experience, and opioid (endorphin) levels increase as seniors’ ability to sense their food improves. It has actually been proven that seniors become physically stronger as well. With flavor enhancement, seniors are less interested in fatty foods and in adding salt to their entrees, and thus they are better able to adhere to their doctor-prescribed dietary guidelines. According to the results of a new study of the health of caregivers, there is mounting evidence that explains why caregivers often become patients themselves while caring for a loved one. Individuals caring for a spouse with dementia show four times greater annual increases than noncaregivers in interleukin-6 (IL-6), a key immune system molecule linked in previous studies to increased risk of cardiovascular disease, osteoporosis, arthritis, adult-onset diabetes, and a greater likelihood of death, Janice K. Kiecolt-Glaser and colleagues report in the June 30 edition of the Proceedings of the National Academy of Sciences. Caregivers’ relatively higher levels of IL-6 may provide part of the biological explanation for a growing body of evidence implicating care giving as a risk factor for a variety of illnesses. In addition to showing accelerated increases in IL-6, caregivers report greater loneliness and feelings of stress and score higher on measures of depression than non caregivers. For caregivers whose spouses died during the study, elevated IL-6 and feelings of loneliness and depression persisted for at least three years following bereavement. One explanation for this persistence may lie in the well-documented social isolation and loss of support that result from extended care giving. Caregivers may emerge from their care giving responsibilities with many fewer social contacts than they had before their spouses developed dementia. Social isolation, which has also been linked to increased risk of illness and death, may be an important factor in perpetuating caregiver stress. Often caregivers underestimate the demands of providing care for another can have on them. While it is important to try to maintain a positive attitude, often caregivers experience feelings of helplessness and lack of control over their situation. Caregivers who educate themselves about the diseases affecting their loved one will be better equipped to recognize and understand changes associated with progression of the disease and the aging process. This way they can be more capable of anticipating and dealing with changes as they occur rather than being caught surprised and unprepared. It is also important to set reasonable expectations. A child can never change a lifelong relationship by taking on caregiver responsibilities as the need arises. Be realistic and understand that if anything, the stress associated with caregiving can often expose already weak areas in a long term relationship in even the best of situations. Appreciation for ones contributions should not be expected by the caregiver or from other family members. Caregivers who provide care without expectation will be rewarded if gratitude is offered and not disappointed if it is withheld. Learn to take pride in your own accomplishments. It is critically important to strive for balance in your life. Personal fitness, good nutrition, and maintaining social contacts can all help keep caregivers energized. If the caregiver is beginning to feel frustrated, angry or like a martyr, it may be time to consider a support group, or a respite. Most communities, hospitals and churches host disease specific support groups where fellow caregivers can come together to share their experiences and help each other. Sometimes it may be helpful to just come and listen to others and see how they have learned to cope with their caregiver responsibilities. Often caregivers themselves can offer the best support to each other because of their own personal experiences. Acknowledge your emotions and find an outlet for them. Most caregivers will experience frustration, anger, guilt, resentment, self-doubt, and feelings of helplessness. These can all lead to stress which as the study revealed can contribute to health problems of their own. 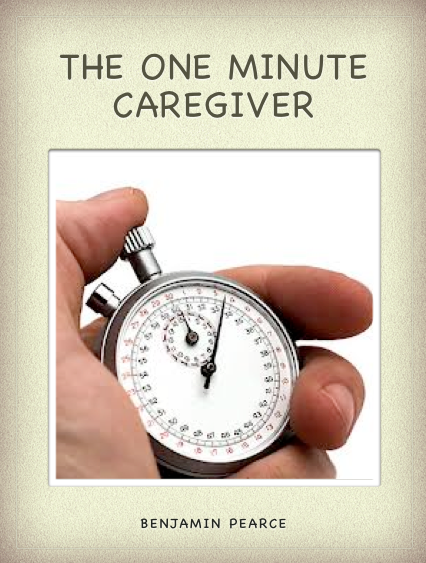 Caregivers need to find some time to nurture their own needs. Better to consider lowering your expectations when they are unmet rather than allow yourself to become stressed out by them. You can only do so much, better to say “no” if you can then have your own health slide attempting to do the impossible. Learn to ask for and accept help from others before its too late. Most siblings will participate in solutions for the care of a parent if they are pushed, asking for help does not need to mean that the primary caregiver is relinquishing control or backtracking. Its is better to teach others what the caregiver has learned and empower them to help than to try to do it all one’s self. Maintaining a positive attitude is very important. A stressed out caregiver is highly susceptible to depression. Depression has been known to adversely affect the immune system. This is why people who are left alone and isolated often suffer catastrophic health failures, while their socially active counterparts remain relatively healthy. Learn to recognize when your care giving duties begin to drag you down and find a way to get away for some time alone or with friends. Day care, respite and other short-term stays in assisted living or memory care are available in most senior living communities at reasonable rates. Residents who are around other people tend to perk up and complain less. Most seniors find the experience very fulfilling after a short period of complaining about it. It also introduces Mom to the concept and people living there and helps to derail her fears about it. Mother may have “known best” when you were a child, but now that roles have reversed, it may be time for the caregiver to do what he or she thinks is best for them. After all how often did your mother allow you as a child to talk her out of what she thought was best for you? A short term stay can also afford the caregiver opportunity to recharge their own health and attitude treating both to a better situation.